1) Flowers. Okay, so you can’t buy fresh flowers at your neighborhood thrift store but you can score a unique vase. This will help personalize a simple bouquet and adds a thoughtful touch.Want to take this idea to the next level of adorable? 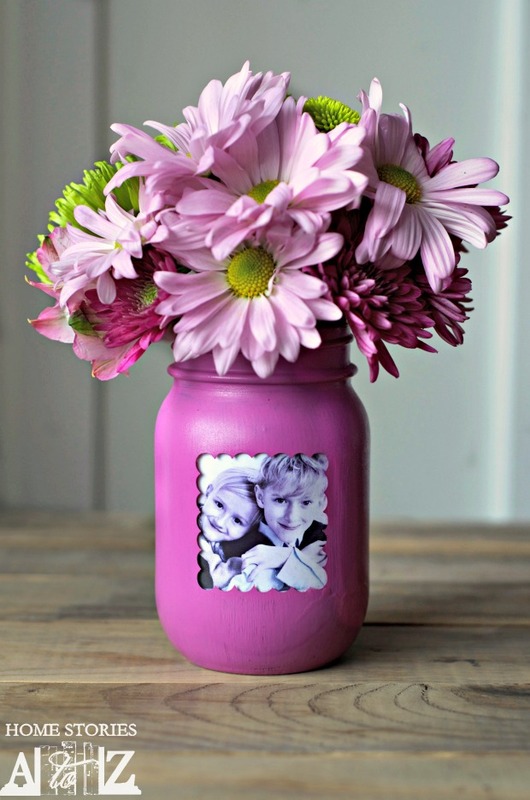 Check out this fun idea for adding a photo to a mason jar. 2) Candles. Making candles at home is way easier than you’d think. We like this tutorial from She Knows. The trick to making this gift special is to thrift unique candle vessels. When you’re shopping, think about things mom would like such as vintage tea cups or tins. 3) Personalized Mug. We’ve shared this idea before but what can we say? It’s genius! Find a light-colored mug from Goodwill. You can probably score these for less than $1. Decorate the mug any way you like using ceramic or glass markers. Let the paint dry and then bake the mug in your oven for 40 minutes at 375 degrees. Ta-da! Totally personalized gift for less than $5! 4) Sewing Kits. Does Mom like to sew? Help her keep her work area cute and organized with Mason jars. Find a few jars at your Goodwill store and decorate them using stickers, washi tape, silk flowers or whatever your heart desires. Use chalk board paint to include a space for mom to label what’s in her jars such as pins, buttons, etc. 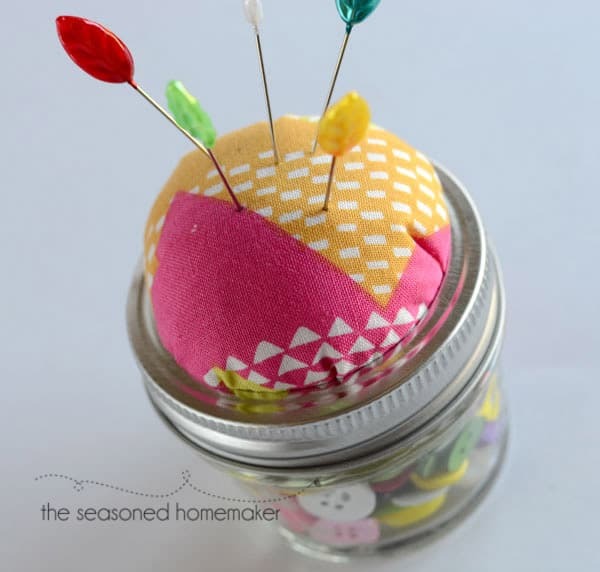 For one of the jars, follow this simple tutorial for a cute pin cushion. 5) Family Tree Serving Tray. Pick up a serving platter for a few dollars, paint it and let dry. For the tree, you can either use paper cut outs of a trunk and leaves or paint it onto the tray yourself. 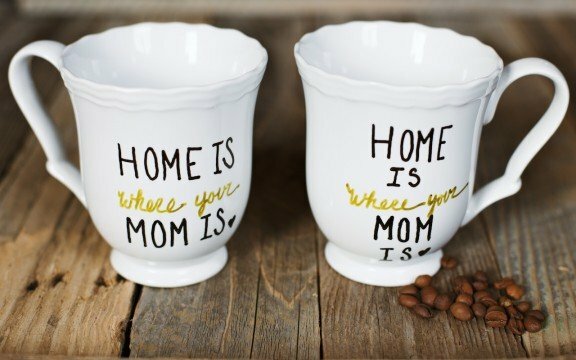 Use ceramic pens to write in the names of family members and include the pen with your gift so Mom can add on as the years go by. No matter what you decide to DIY for Mom, she’ll be impressed with the thought and effort you give to making something personal just for her.